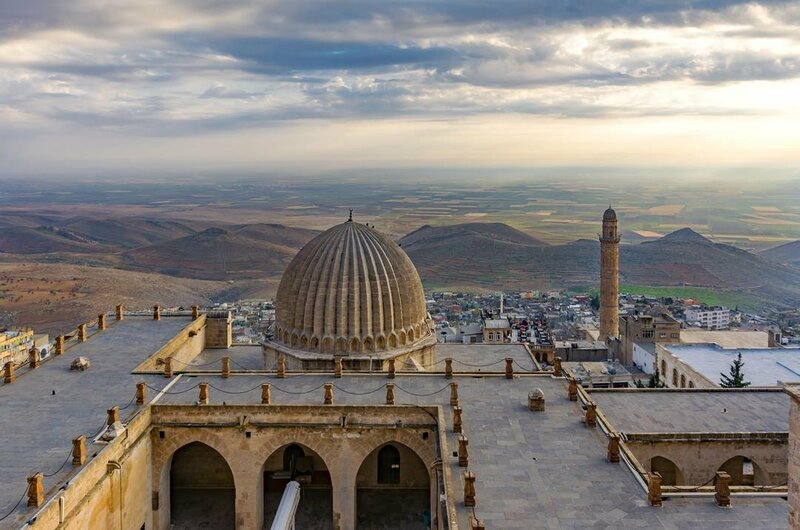 Merhaba Mardin on guided private tours of this multicultural city. 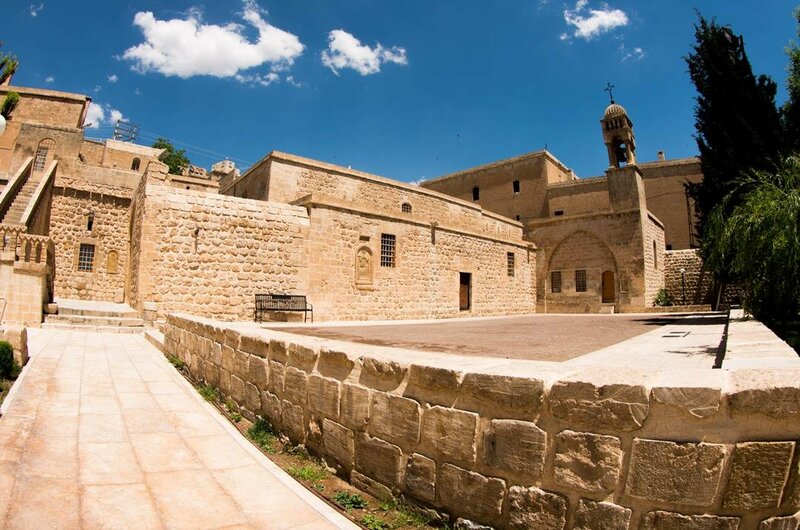 Mardin is an unmissable place to visit as it has such a great mix of cultures that have influenced the area from Yezidi, Christian, Kurdish, Syrian and Turkish. Mardin Castle, minarets, stone houses on the hillside and meandering lanes there is a lot to see and do in the city. 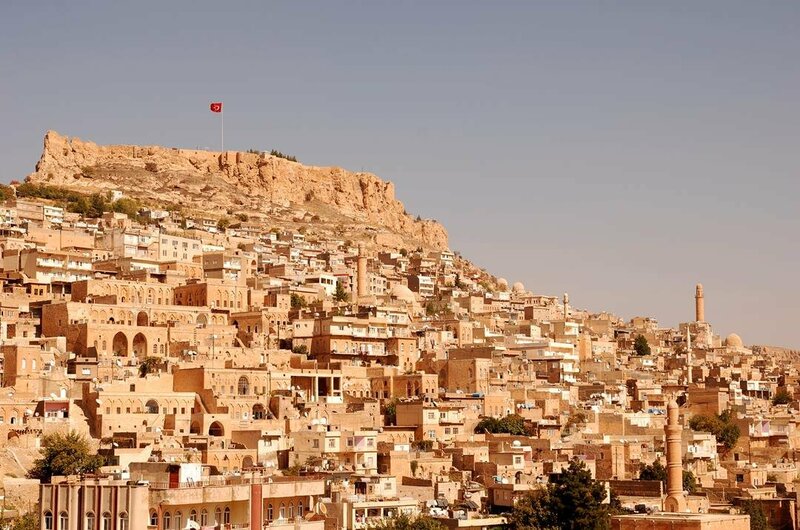 The quaint old city hanging on the edge of the new city is amazing, and a must see on all Mardin guided city tours. The old town district of Mardin is a must see on custom private tours. It is a perfect place to explore the maze of alleyways which are full of old stone houses with some beautifully carved facades. Within the old town, there are churches from many religions including Orthodox and Christian. However, the locals who worshiped there have long since left, so they stand as reminders of the once versatility of this city to the many tourists that visit each year. There are small jewelry workshops and little souvenir stores around but as you walk along the old streets take in the relaxed and free-flowing atmosphere. 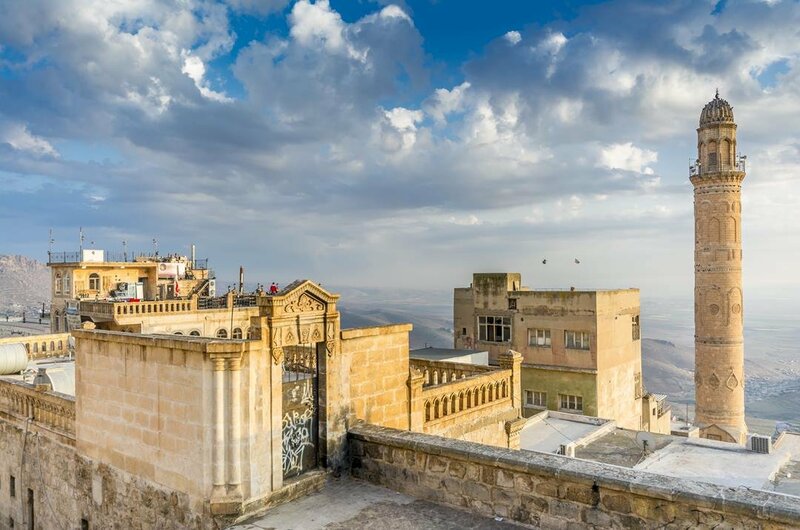 1 Mardin Castle is situated above the city on a high hill giving it the perfect position to tower over the city. 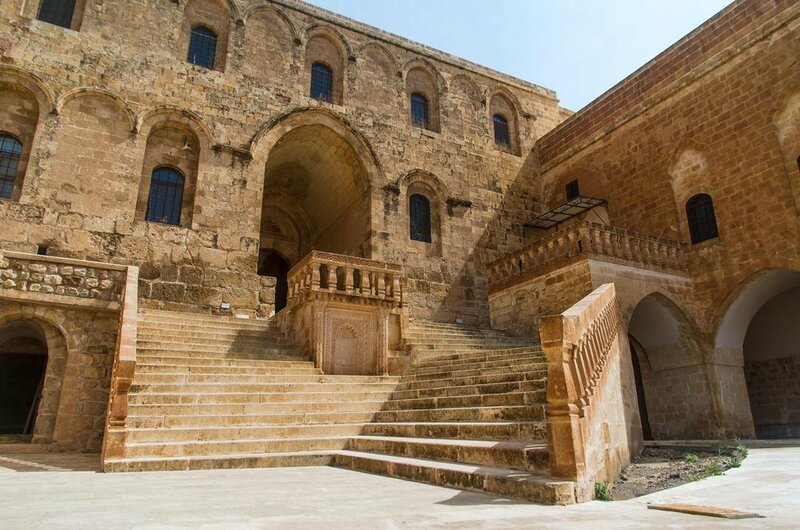 Guided private tours of Mardin will take you up the steep path that leads to the fortress. Relief carvings of two magnificent lions on the gateway welcome you into the Castle. Try to take the Castle Tour at cool times of the day as it is quite a walk in the heat. 2 This lovely picturesque, quaint village is split in two by The Tigris River. Established by the Romans as a border post the town grew and prospered. Only ruins remain of the original grand bridge, but some ruins of buildings remain, the views in this area are fantastic. The future of this village is under threat constantly due to a dam built there in 1990 so visit this place while you can and don't miss out. 3 While Dara private tours may not be as famous as Ephesus or Pergamon, it is just as good but not so big. Archaeologists are currently carrying out excavation works on the site and have recently excavated an aqueduct and irrigation system complete with storage towers for water. This tour is great as you are allowed to walk into the towers which are unusual as this is an active site. 4 Private tours of Mor Gabriel, one of the oldest functioning monasteries in the world is a must do. 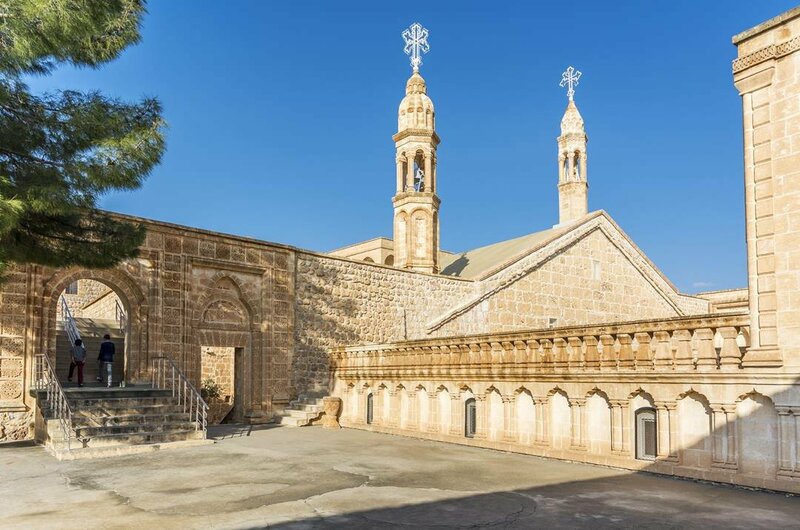 The large sprawling complex is the center for Syriac community and houses a significant number of sites from Byzantine mosaics to a red brick dome building of Theodora and the church of the Virgin Mary. This holy place has great connections between the past and the present and is an excellent tour. 5 This old medrese in Mardin was founded in 1385, and private guided tours are available daily. One of the best-preserved buildings in Mardin, the complex has a domed mosque, two tranquil inner courtyards and a mausoleum. The highlight of this tour is the uniquely decorated and large doorway, which is a lovely example of Islamic artistry. 6 The Kasimiye Medresesi is a 15th-century complex consisting of a domed Mosque and theological college. Take a guided tour, and you will feel how peaceful the atmosphere is in this entire complex and lovely courtyards. Explore the rooms where students would have studied and lived while learning the Qur'an. The stone carvings on the doorways and vista's are a photographers dream. 7 This beautiful 4th-century church is an active place of worship and holds services on Sunday's, and everyone is welcome. The church has a lovely interior has some beautiful decoration aspects, the caretaker guide will be happy to take you around. The carvings commemorating the Cappadocia Christian Martyrs are at the entrance of the church and are a must see. 8 The Mardin Museum tours may only have a small collection, but it contains some unique and interesting artifacts from the archaeological sites scattered around Mardın City and County. The Bronze Age and Assyrian potters are super, and the grounds of the Museum are lovely with grand courtyards and picture perfect views. 9 At the eastern edge of the bazaar, is the Ulu Camii which was built in the 11th century. Tours of the building will show you how it suffered severely during the 1832 Kurdish uprising, but it has been partially restored. The prayer room below the dome is lovely and split into three sections with stone carvings this is a lovely tour. Take a stroll around the bazaar when your tour is over. 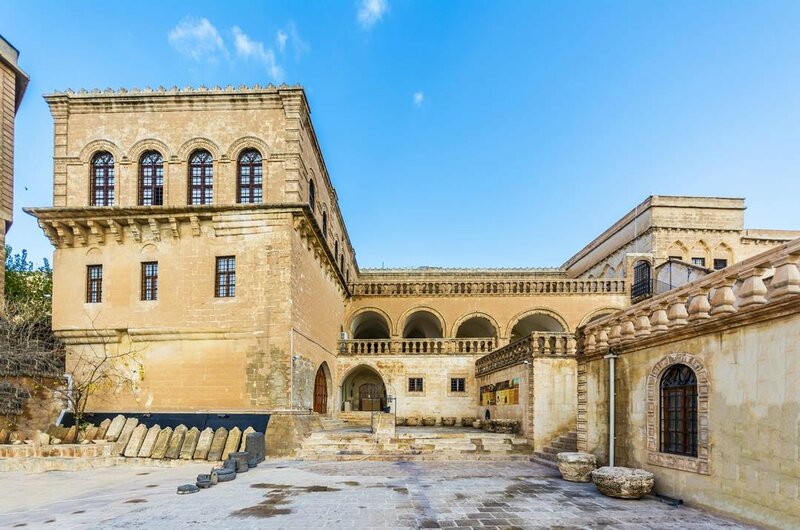 10 Guided private tours of Mor Hananyo Monastery will take you five kilometers east of Mardin near a shallow basin and half-way up the side of a beautiful mountain ridge. 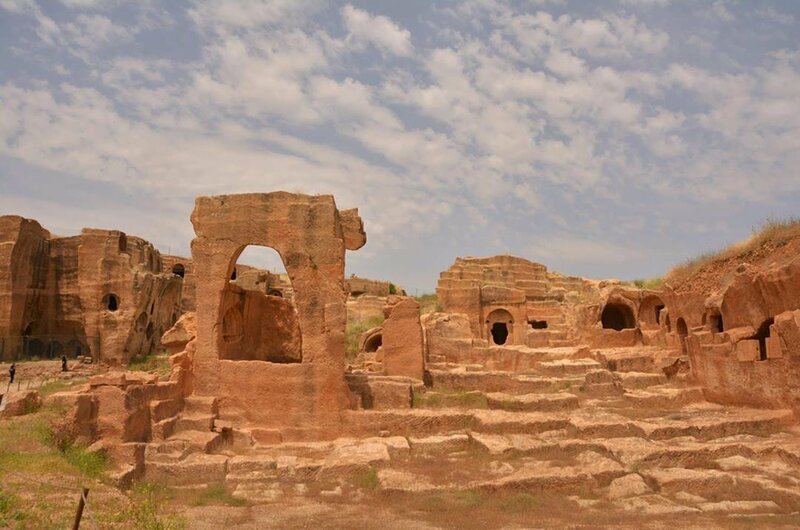 This area and ancient structures of Upper Mesopotamia was the religious center of the Syrian Orthodox Community. The Monastery is also known as The Saffron Monastery because of the saffron dyed blocks used to construct the building. 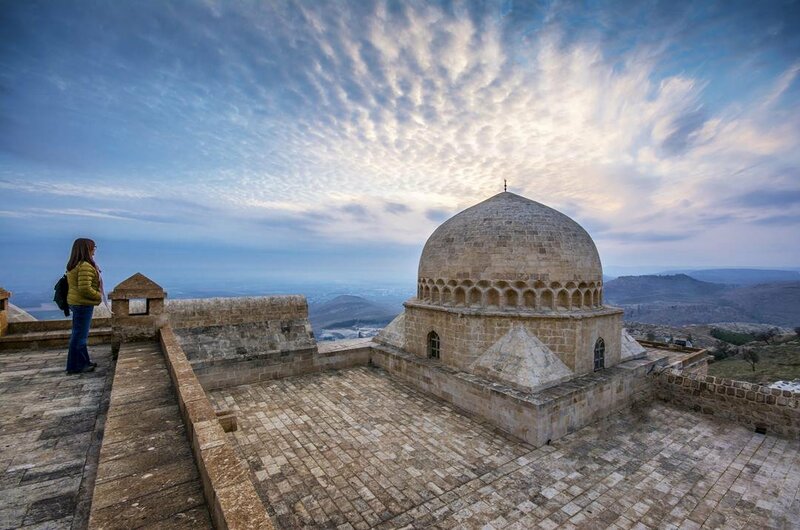 Mardin has a lovely Mediterranean climate with beautiful hot, dry summers and wet but pleasant snowy winters. Temperatures can reach anything up to 35°C during the high season. For some snowfall visit Mardin with guided private tours between December and March. 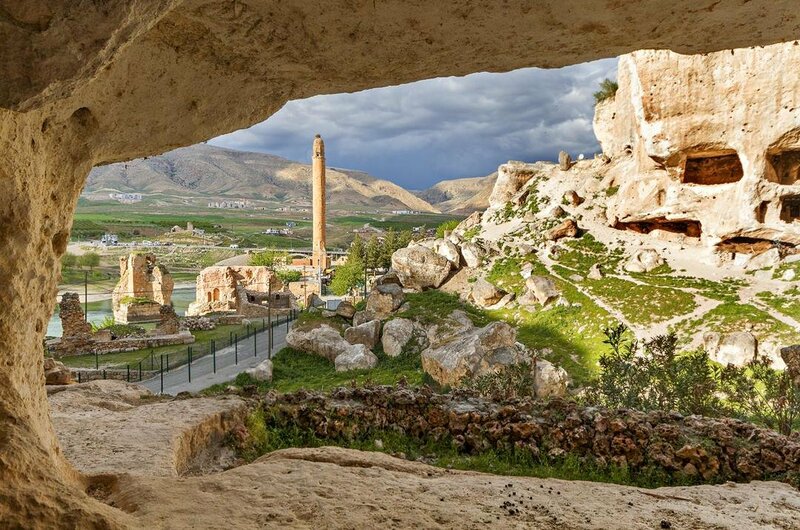 In short, Mardin is accessible for holidays at any time of the year. Turkish Lira is the currency universally used in Turkey. However, Euro and US Dollars are also acceptable. 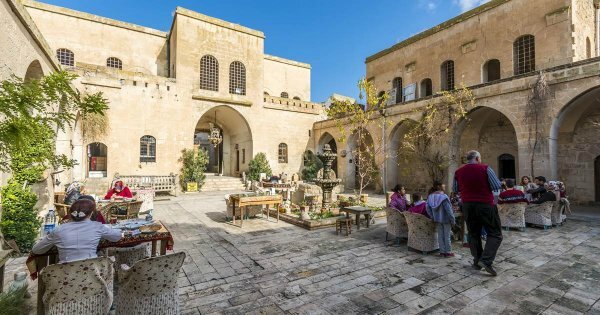 Accommodation and eating out in Turkey is relatively cheap considering the exchange rates always check with yourMardin private tour rep for tips. You have a very comfortable hotel and eat in star restaurants with refreshments for around $80.00 per person per day. Before booking any private tour holidays to Mardin apply and obtain your entry Visa to Turkey. You can get one online before your departure. Shopping is fantastic in Turkey with street bazaars selling genuine fakes to gold and spices. For some snowfall visit Mardin with guided private tours between December and March and see the snowcapped mountains. If it's the sun, you want the temperatures can hit up to 40°C in the peak of the summer season in July. However, the other summer months it is pretty tolerable. Provide a short description of your Product Itinerary with a minimum of 120 characters and a maximum of 175, see sample video above.